Although the Axon 7 is a bootloader unlockable device, which enables the users to flash the latest firmware all by themselves, OTA updates and fixes need to be provided in time to guard against malwares which could affect the device. 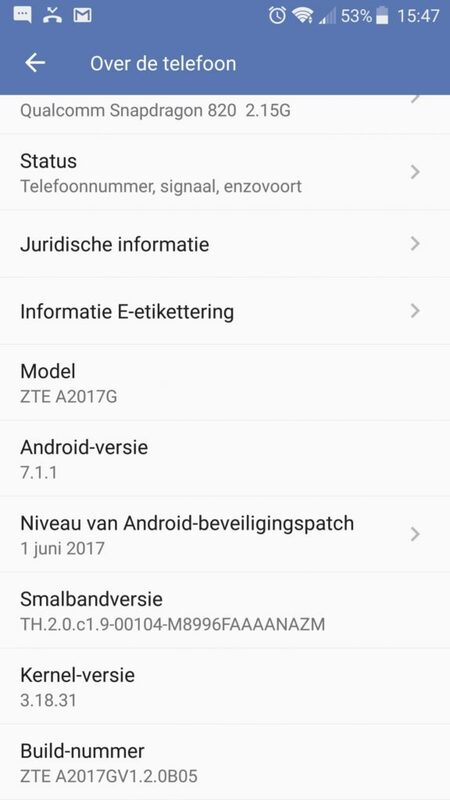 The latest build carries the version number ZTE A2017GV1.2.0B05 and weighs on a heavier side at 2GB. The firmware update also includes security patch for the month of June and is aimed at the A2017G variant. Sadly the update does not include the latest July security patch nor does it bring any extensive changes to the UI. Download the firmware update from the download section. Reboot into stock recovery by pressing Volume Down + Power button simultaneously. Tap on Install Update from storage. Alternatively, go to Settings >System Updates and do a Local upgrade. Wait for the firmware to flash.